Possibly one or two too many sherbets yesterday but no hangover. Great day and meal last night, shame about the rugby. Looking forward to lunch today at Miller and Carter. Results went well last night. Crystal Palace and Leicester losing, Watford drawing. C’mon City let’s have a good result today and make the dream a reality. If you are going to Peterborough enjoy the day and have a safe journey. According to the WRU today is Judgement Day. It is the day when four regions meet for two matches at the above Stadium but is this a day of ‘Clash of the Titans’ or the day when Welsh regional rugby is judged to show how poor the regional game now is in Wales. We should know by the ned of the day. Either way, plenty to drink and then after match dinner with our friends. Who would live in a house like this one? 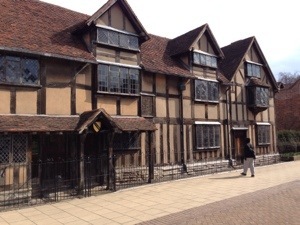 If you guessed William Shakespeare you would be right, although in his day I bet there weren’t any souvenir shops next door selling all things English. What’s the difference between our hotel room and home? Large space – hotel room was not big enough to swing a mouse, let alone a cat! Heat – hotel room had radiator on full but the room did a great impression of a fridge. Shower – hotel bathroom had something that resembled a shower in looks only. If you moved too quickly you missed the water droplets. The restaurant and bar food was outstanding and service extremely friendly, would go back but during much warmer climates. 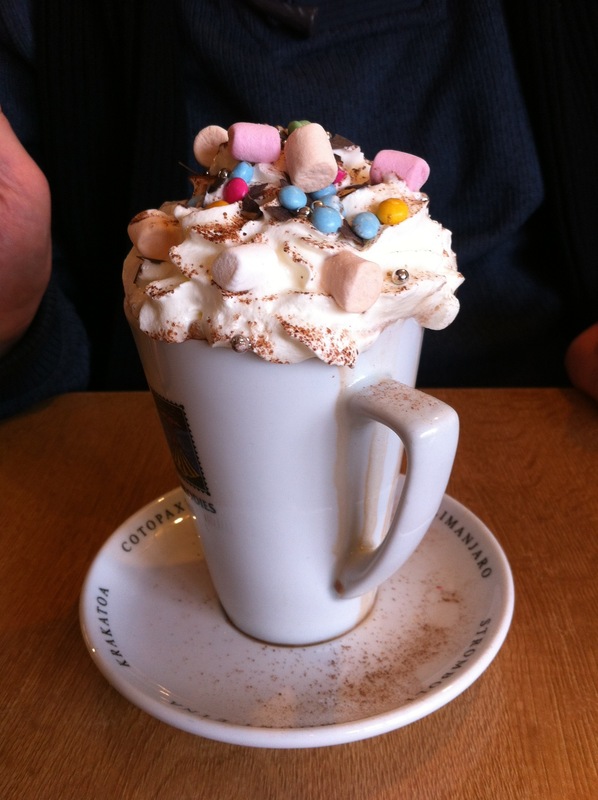 This was a welcome drink in a very cold Moreton in the Marsh this morning. Don’t want to be negative, and hope I am proved wrong, but Poite and Joubert have been given the job of referee for third and first tests, respectively. In my view, not the best refs for a flowing game.